The Marathon race is one of the most important events of the Olympic Games. It has its origins in the ancient Greek history and is considered to be the strongest in symbolism, race of athletics. 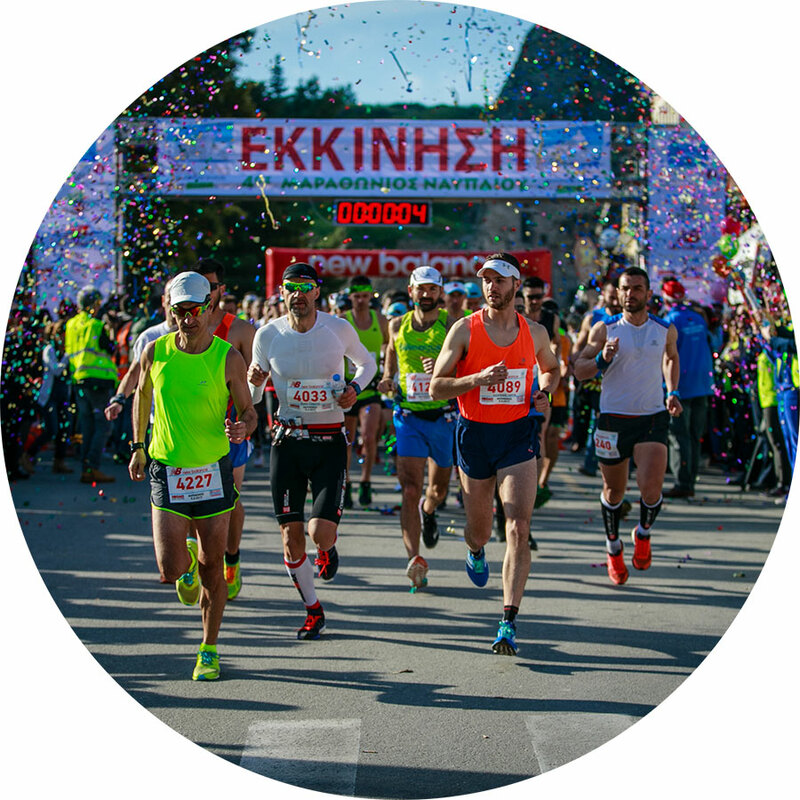 It is the only race in the world that bears the name of a city, the ancient Greek city of Marathon! 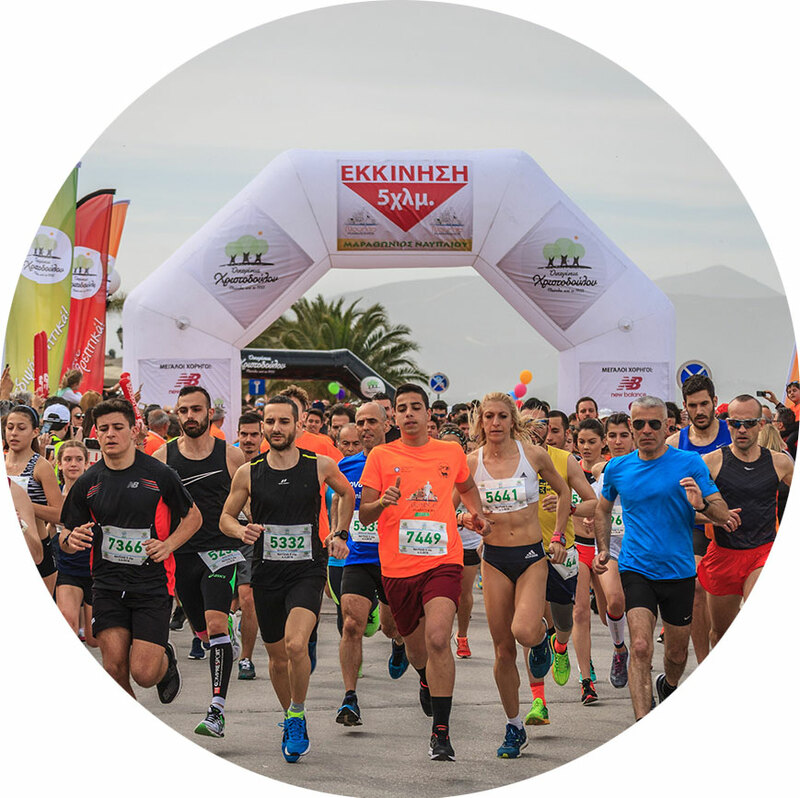 In Nafplio, the Marathon, takes place in an exceptional course, under the shadow of the imposing fortress of Palamidi, the design of which follows the rules of SEGAS and AIMS, the certification of which it carries. Tip: The official results are sent to the statistical office of SEGAS. Moreover, the achieved times of the top 10 athletes (male & female) of the General Category are sent to AIMS where they are published in the quarterly magazine “Distance Running”. Tip: During the last few years all Hellenic champion runners have participated in the half Marathon of Nafplion! The Half-Marathon is a race that is included in the world championships. 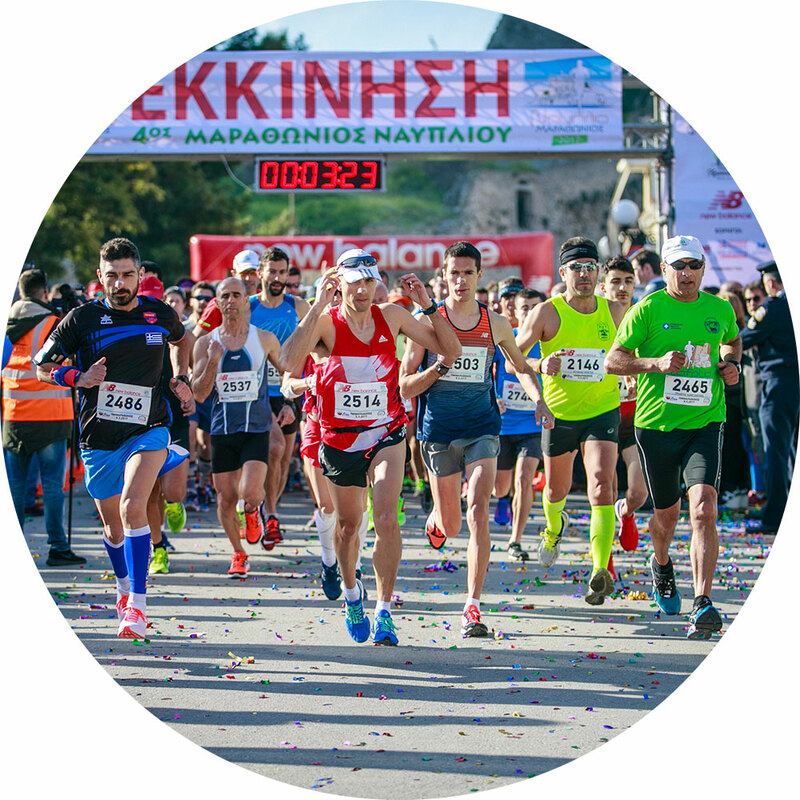 In Nafplio, with the starting line under the shadow of the imposing fortress of Palamidi, it takes place in the most beautiful city and on the easier course of Greece! A 100% flat course, perfect for achieving your personal best! The route is certified by SEGAS & AIMS. The official results are sent to the statistical office of SEGAS. Moreover, the achieved times of the top 10 athletes (male & female) of the General Category are sent to AIMS where they are published in the quarterly magazine “Distance Running”. 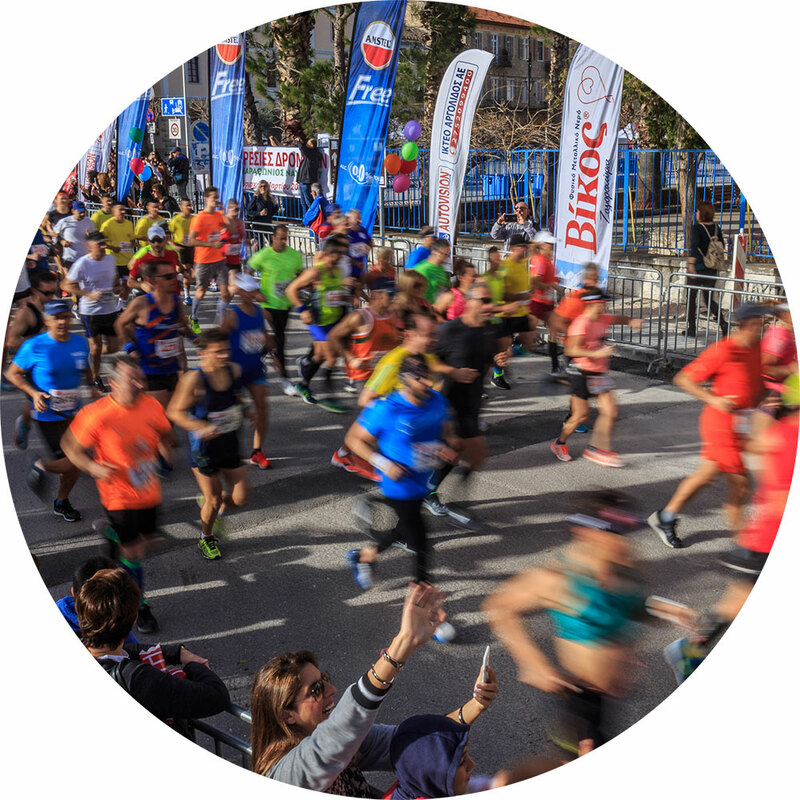 Overlooking the emblematic Bourtzi, takes place the start of the 5 km, thereafter, following an excellent course passing through Nafplio’s historic center. The competition is divided into two categories: racing & participatory. The race infrastructures, the participation benefits and runners’ support are similar to the Authentic Marathon! Tip: The course of 5 km, flat and easy, is suitable for achieving your personal best! Tip: All participators in 2,5 km fun run will receive a unique finishers’ medal and digital certificate of participation. The 2,5 km enable everyone to participate in the sporting event, and at the same time promote the values of ‘participation’, lifelong exercising and social inclusion. 2,5 km fun run is the ideal opportunity for a family to introduce their young members to the magical world of sports, for a beginner runner to make his first participation, for a group of frients to share a unique collective experience.